Disclaimer: This is a sponsored post from Santa HQ. All opinions expressed are my own. There aren’t many things better than experiencing the magic of Christmas through the eyes of a child. It’s one of those amazing parenting experiences that (almost) make the lack of sleep worth it. We all have our own traditions to celebrate the holiday. 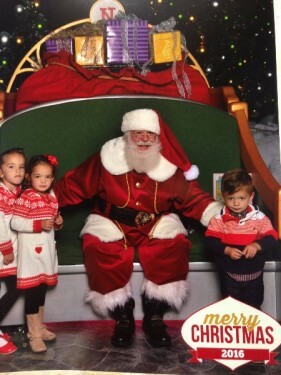 One of my favorite Christmas activities is to bring my kids to visit Santa. We do it every year. I love the sparkle in their eyes as they get a peek at him. I wonder what races through their little minds when they see Santa up close and personal. He brings such magic to the season. This year we went to visit Santa early at Santa HQ at the Danbury Mall in Danbury, CT. It’s a fully interactive walk through Santa’s workshop and observatory mixed in with the tradition of sitting on Santa’s lap for a photo. My kids are finally at the age where they are starting to understand the story of Santa. Even though they were a little too shy to sit on his lap, I know they thought the experience was pretty special. 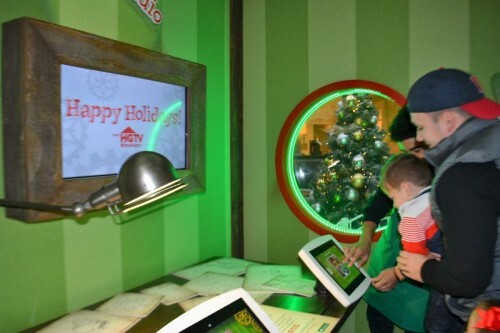 The Santa HQ experience begins with online reservations. Forget the line and book your visit with Santa before get there. 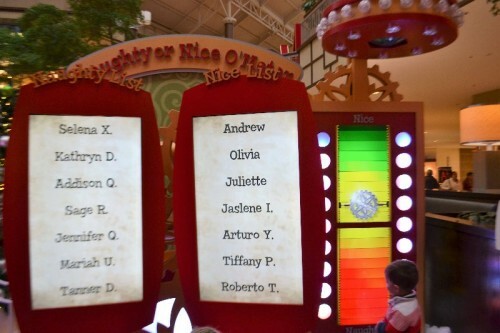 It makes visiting Santa convenient for everyone during the busy holiday season and helps avoid any tantrums in line. If you would rather be more spontaneous, walk-ins are always welcome. TIP: We visited Santa last year on Black Friday afternoon. The crowds had died down considerably and everyone was too busy shopping to wait for Santa. We got right in to see him, and because there were no other people waiting, we got to spend some extra time with him. After we find out if you’ve been naughty or nice another one of Santa’s elves will bring you into Santa’s Workshop. Inside you will create your own holiday video with “Elfie Selfies.” You’ll see your own faces attached to elf faces dancing around in a music video (see mine below). Enter in your email address and have the video sent to you for free! Next is Santa’s observatory. Get behind the interactive controls of Santa’s sleigh and check the radar. 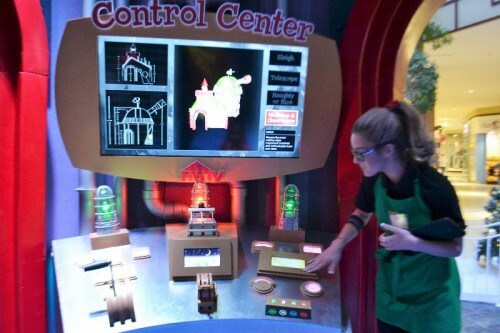 My kids were able to press all the buttons and levers. 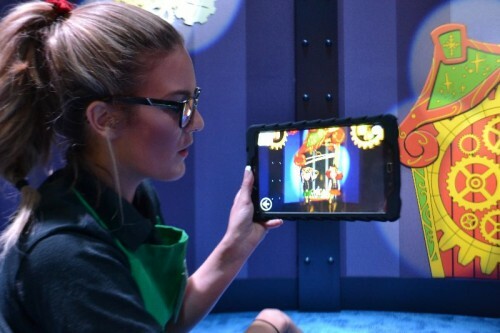 Then download the Elf-Ray Vision app or borrow a tablet to experience the sights and sounds of Santa’s observatory where you can play games looking for hidden elves around the room. Next was the grand finale with Saint Nick sitting on a modernized sleigh waiting to meet us. It was important for my little ones to tell Santa about our new address and tell him what they wanted for Christmas (a toy kitty that moves!). Santa even had an activity book to give to each child. My kids loved going through Santa’s Workshop and meeting Santa (even if the picture doesn’t exactly give you that impression!). 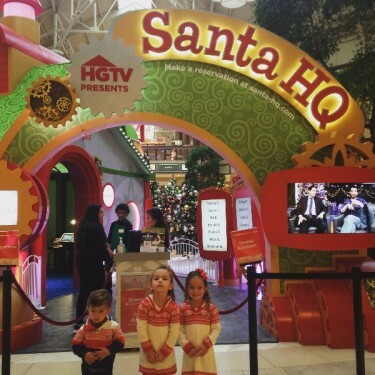 Santa HQ is a modern take on a Christmas tradition. I would definitely recommend it if you’re in the area. Below is my favorite picture of the night. 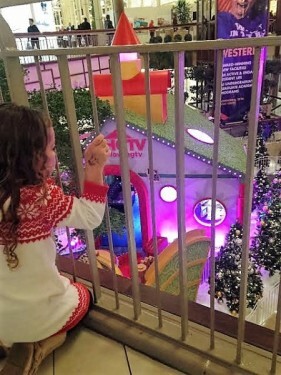 It’s of my daughter, Olivia, peering through the second floor rails trying to get another look at Santa. She waved to him and she was so excited when he waved back. The magic of Christmas! Posted in Family, Family Day Trips, Holidays, Things to do in CT. 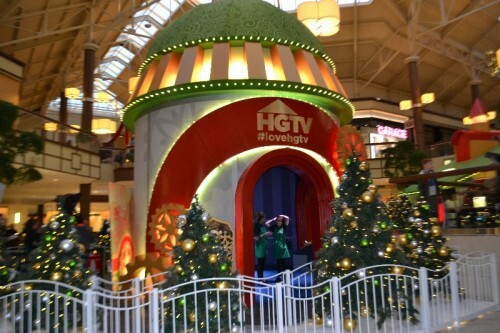 Tagged christmas, Christmas 2016, Danbury CT, Danbury Fair Mall, Holiday Activities, holidays, mall pictures with Santa, Pictures with Santa, Santa, Santa HQ.